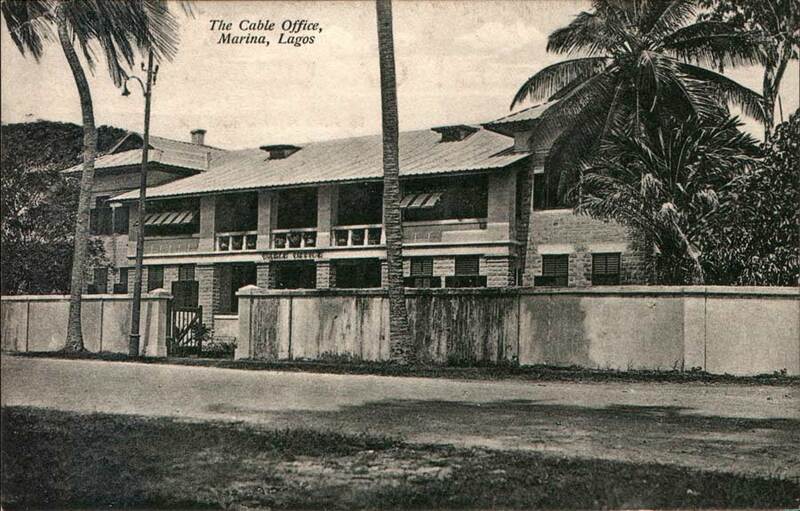 A further cable was laid in 1902 from Lagos to Cotonou, Dahomey by CS John Pender (2). CS’s Colonia and Transmitter laid the last cable for the company in 1914 between Freetown and Accra. The company became part of Imperial & International Communications Ltd., on its formation in 1929. 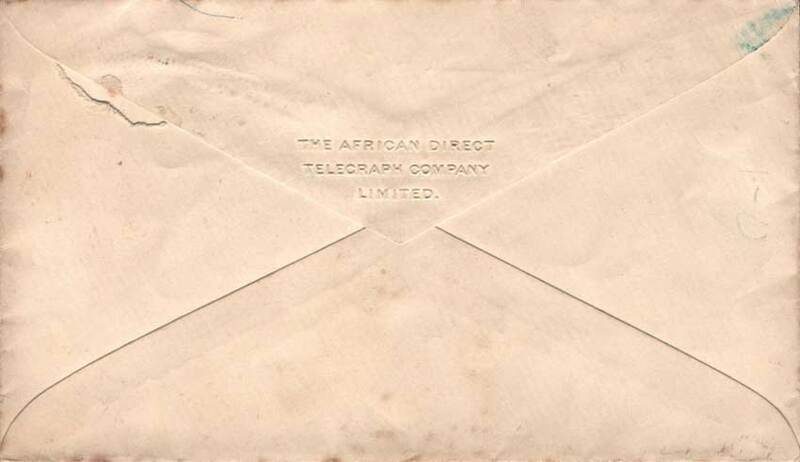 Cover for the African Direct Telegraph Company, 31 Dec 1896. 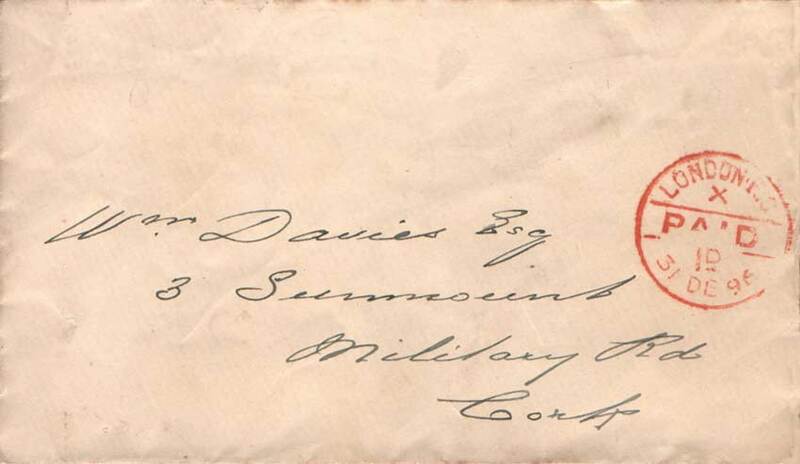 The hospital was founded in 1878 as Darenth School for children with learning disabilities. By 1890 it housed over 1,000 children and adults, and it continued to provide services in this field until its closure in 1988 and subsequent demolition. The grounds now make up part of the Darenth Country Park, an open area bordered by woodland and popular with dog walkers. 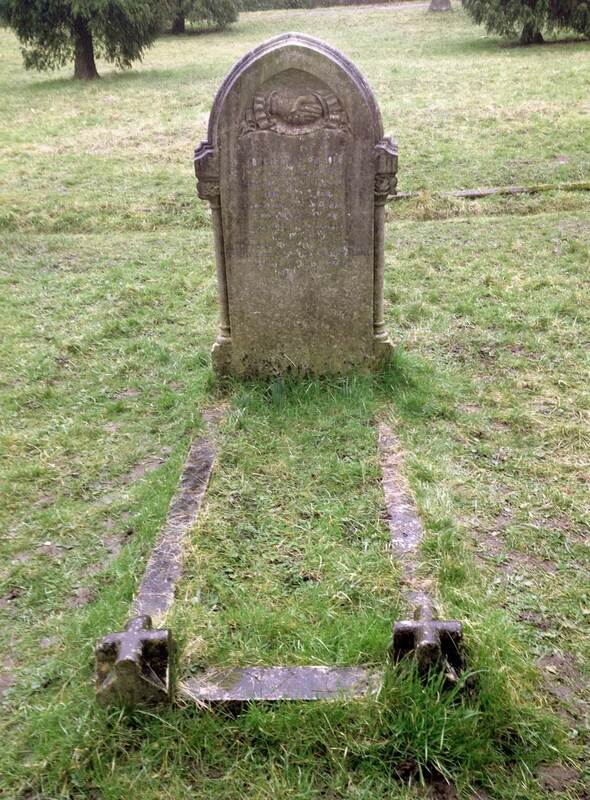 PALMER Ebenezer Jonathan of Kamp-house Christiansborg Accra Gold Coast-colony West Africa died 30 August 1901 on a hospital-ship off Longreach Kent Administration (Limited) London 14 January to Henry Edward Plank secretary the attorney of Jane Eliscotte Palmer widow Effects £461 16s. 2d. 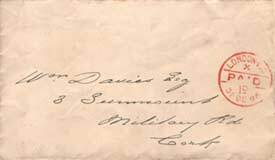 It seems likely that Ebenezer Palmer died of smallpox while in the African Direct Telegraph Company’s service. Perhaps the company arranged for his burial at Darenth, including providing what must have been a fairly expensive headstone. The Gold Coast colony is now part of Ghana.